At the last count there were eight full time British Ski Instructors, including Michael and me, who currently work with the Méribel ESF. Compared to approximately four hundred and forty French instructors in total donning the 'Pull Rouges' uniform. There are four English, three Scots and a Northern Irishman. Notice that I quoted eight 'full time', because there is in fact one other British Ski Instructor who is part time... a gentleman called David Lindsay. I first met David about four winters ago, it was down at Chaudanne after I had spoken to one of the school's secretaries in my English accented French. He walked up to me in his ESF uniform, with hand reaching forward, and said 'Hello allow me to introduce myself, I'm David and I couldn't help but notice you are English'. I jumped out of my skin because I had never seen this chap before, and he looked surprised as well. To cut a very long story short we had a chat, went for a ski that week and soon became friends. Since then we try to meet up each winter when he comes out, whether on the mountain, or in the evening socially. 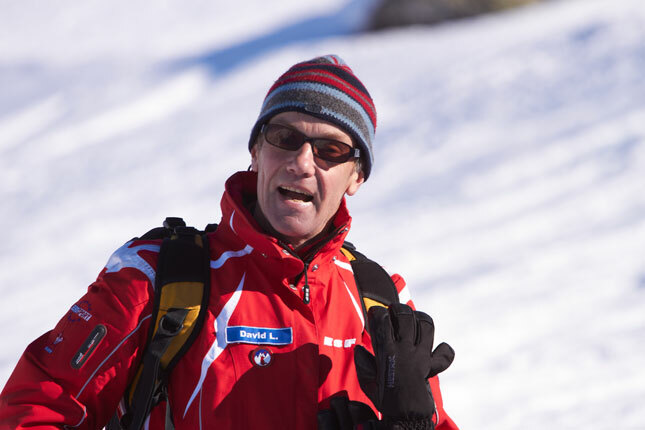 David has history with Méribel, serious history. 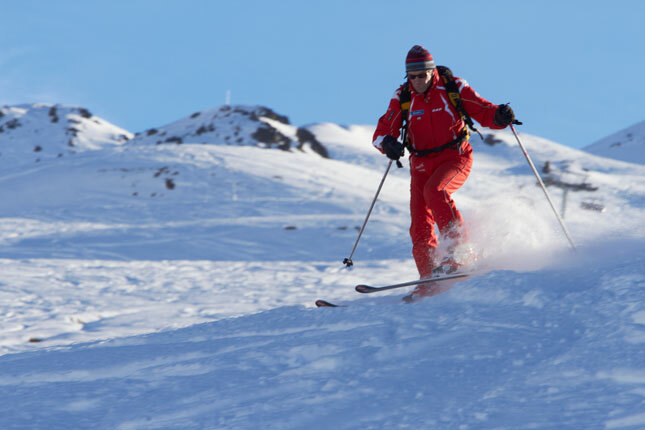 In fact if it wasn't for his father, Colonel Peter Lindsay, Méribel may not have ever developed into a ski resort. I thought you all might like to know a little more about the history of Méribel, with the help of an interview I had with David at the Barometer Bar a couple of weeks ago over a couple of beers. Martin: Before we start this interview, thanks for the beer and please excuse my notepad and pen. Martin: I'm not sure how to start the interview, whether to ask about your link with Méribel, or just you as an individual? David: Surely we start with Méribel's history. Here goes in brief. Sir Arnold Lunn, the pioneer of British ski holidays and the inventor of slalom ski racing, visited the valley and the village of Les Allues in 1925. He marvelled at the possibility of the skiing in the valley and made a note. In the late 1930's Sir Arnold directed my father to investigate the potential of this secluded valley. Martin: But these dates soon clash with the Second World War. David: Exactly, however soon after the war my father became close with two French men Emile Allais and André Tournier. It was a very long drawn out process from there, but land was bought, investment sought and gradually and slowly Méribel grew into a ski resort. Martin: So when were you born? David: Great question. I was born in 1956, when my father was 56, and I am now the same age of 56 years old !?! Martin: Away from the history (as Clive of the Barometer Bar reappears with a beer top up), what is your first memory of skiing? David: I think I was about four years old, hanging onto my mother's ski pole going up on the ancient 'Burgin' draglift. I will always remember that between pylon seven and eight I would get lifted off the snow in a painful manner !?! Martin: Then what happened between childhood and adulthood, and I don't mean due to pylon seven and eight? David: I skied a huge amount, and I mean a huge amount. My father died in 1971 when he was 71 years old. I skied for many more winters here in France, and over in New Zealand as well. I went through the BASI (British Association of Ski Instructors, in those days) qualification process between 1979 and 1981. And also went through the French and Kiwi qualification system as well. I joined the ESF in 1979. David: In those days the ESF was the only ski school around. However being motivated I could see that commercial issues were developing and I formed the then 'International' section of the school in 1983 to help accommodate the British visitors. Martin: Wow, so were you the only Brit teaching in Méribel at the time? David: I believe so, certainly with both a BASI and French Equivalence qualification. David: At the age of 29 years old, and after many back-to-back winters teaching in France and down in New Zealand, I decided to study for an MBA and develop a career in the UK. That sounds like the opposite to you and Michael? 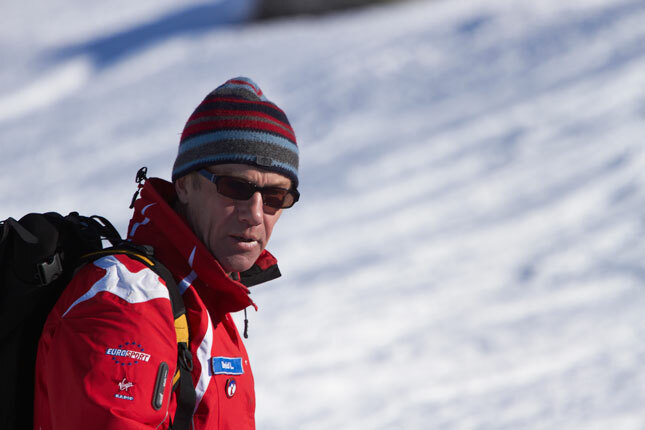 Martin: True, we have both had, and still have a career outside of ski teaching away from ski seasons. Did you miss ski seasons? David: Massively. You can't begin to imagine how I missed skiing and mountains. But it seemed the right thing to do. Martin: Were you still able to ski each winter? David: Absolutely, every winter here in Méribel between 1986 and 2008. Martin: So when did you come back to teach and why? With that last comment, David swigged his last gulp of beer and rushed off to supper with one of his old Méribel acquaintances. 'See you again Martin, I'm back again over half term' he shouted as he left the bar.